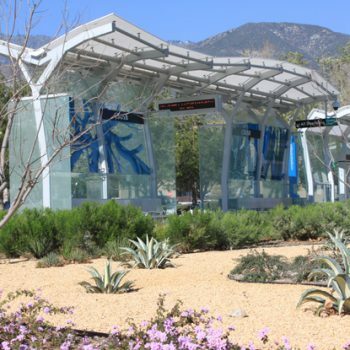 The E Street project is the first Bus Rapid Transit system to be implemented in the Inland Empire. 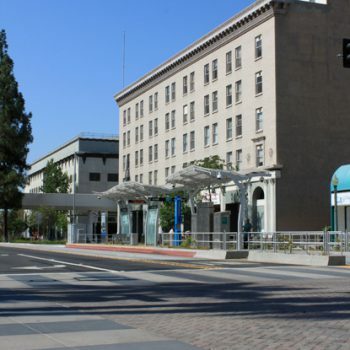 The 16-mile corridor traverses E Street from Northern San Bernardino through downtown all the way to Loma Linda. 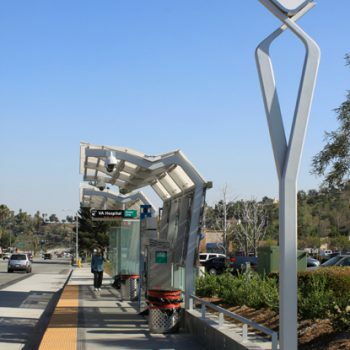 The completed project increases bus ridership, reduces bus travel times and vehicle traffic with the creation of dedicated bus lanes and 23 art-inspired bus stations. 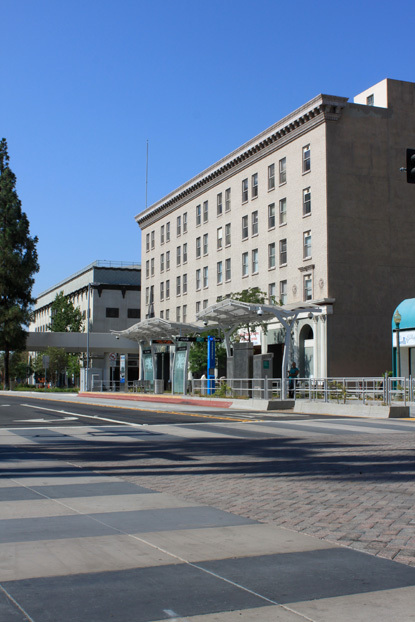 Our crews constructed the new stations, roadway improvements, new curbs, gutters and hardscape, new storm drains, sewer lines, and fire hydrants and also relocated many underground water systems. 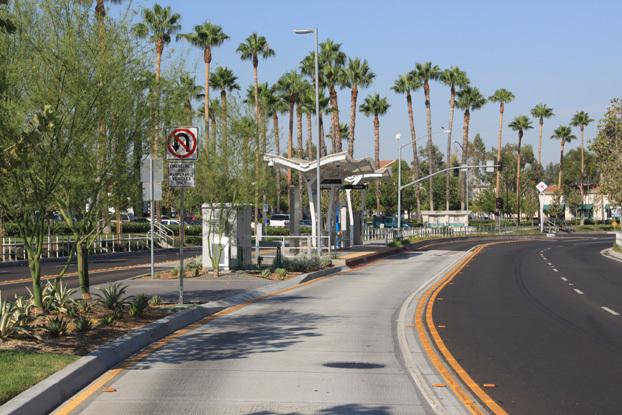 Our landscape crews installed new irrigation systems, bioswale systems, new trees, shrubs, and turf. 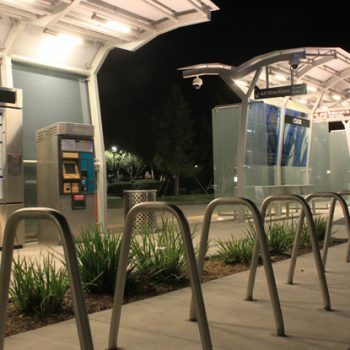 Our joint venture partner, Comet Electric, improved traffic signals and street lighting and also installed all electrical and technological components at the bus stations. 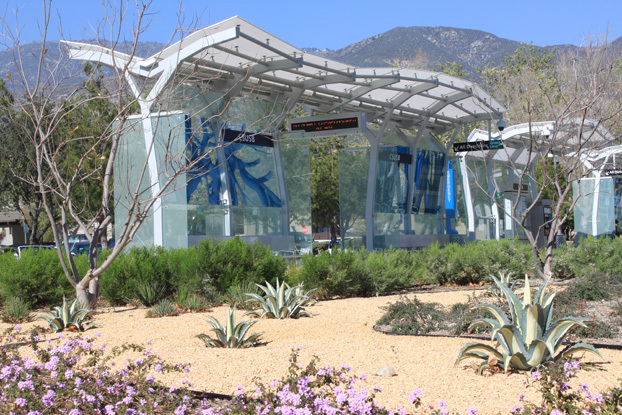 The artwork at each bus station gives the City of San Bernardino and the City of Loma Linda a fresh, modern look displaying their rich history embedded in the glass. 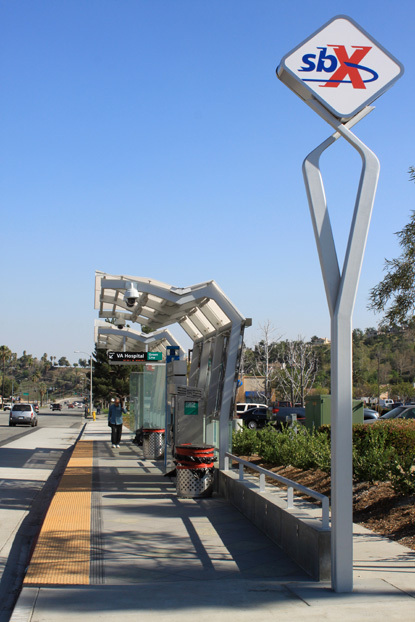 The artists’ creations include concrete pavers, art glass panels, and sculptures, all of which are unique and reflect the history and heritage of both communities. 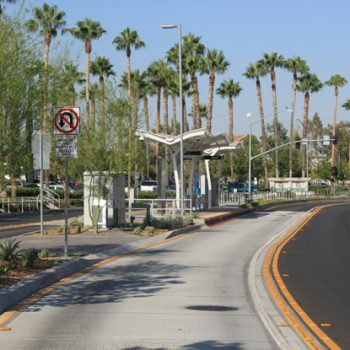 One of the significant challenges Griffith Company faced on the sbX Project was working in close proximity to the public and traffic. 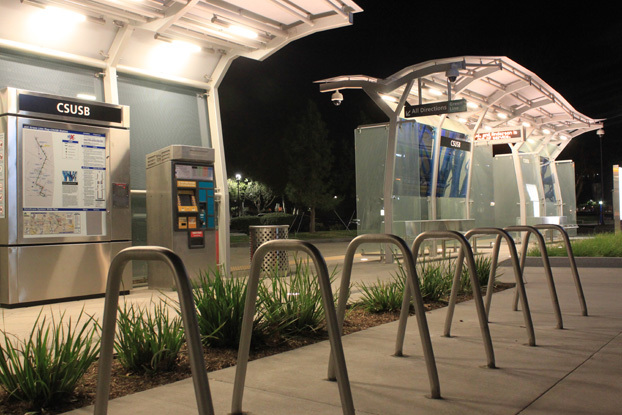 Safety to the public and the workers is a top priority to Griffith Company and Comet Electric. We accumulated over 410,000 man hours without any lost time injury.